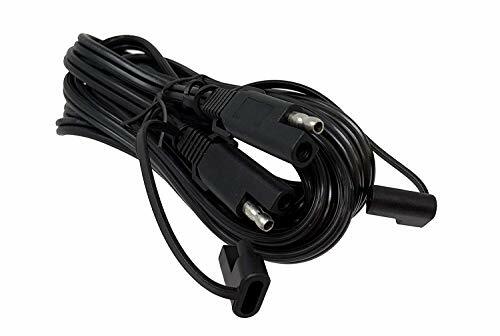 TYPE: 20ft 14 Guage Wire 2 pin sae to sae extension cable with sae connector. HANDY USE: The sae extension cable for battery charger and the device with sae connector. Quick disconnects allow you to remove electrical components as needed for security or repair, ar recharge, etc. very handy and easy to use. FEATURE: The sae connector with connector protection cap, protect the sae connector from raindrop and dust, which will stay clean and dry inside when you did not use it. If you have any questions about this product by SolarEnz, contact us by completing and submitting the form below. If you are looking for a specif part number, please include it with your message.